“When the chill Sirocco blows, and winter tells a heavy tale; When pies, and dows and rooks, and crows, Do sit and curse the frost and snows; Then give me ale, Old ale, Stout brown, Nut brown, O, give me stout brown ale.” This quote comes from a book of songs, ballads and epigrams relating to beer, malt and hops, written by W.T. Marchant in 1645. This insight captures the custom of winter ales. Winter ales, not to be confused with Christmas beer, have a tradition as old as brewing. Brewed with light or no hops, in early Europe it would be served heated and with spices. High in ABV, sweet, malty, and toasted, these ales keep one warm on a cold winter’s night. When I was single in NYC and seeking solitude in a West Village winter, I found my own comfort and warmth with mulled wine and winter ales. With one drink, then two it was easy to forget the cold walk home against westside river winds. Brewing styles have changed but the sweet taste and high ABV did not. The tradition that now gives us winter warmers, Christmas beer, and spiced ales came about in Britain and in the late 1800’s- early 1900’s. It was bottled with higher hops, and officially marketed as a Christmas drink. However, I believe it really came to fruition from the monks in Belgian monasteries. Samichlaus, N’Ice Chouffe, and Gouden Carolus Christmas are all examples of some of the greats. Chimay Grand Reserve, aka Chimay Blue (9% ABV), is naturally carbonated and unpasteurized and is my favorite cold Christmas drink, despite being brewed year round. Like me, it improves with age. Chimay Blue tastes like caramel and lingers later like flowers.  Every year on the night before Thanksgiving, Der Braumeister celebrates some of the best Christmas ales and brews from around the world. We won’t be celebrating with Chimay Blue on draft, but that’s only because we carry it in the bottle year round. So this trappist ale is always ready for someone to taste a bit of the holidays. So prost, and let’s give thanks this Thursday, to family, friends, and beer!